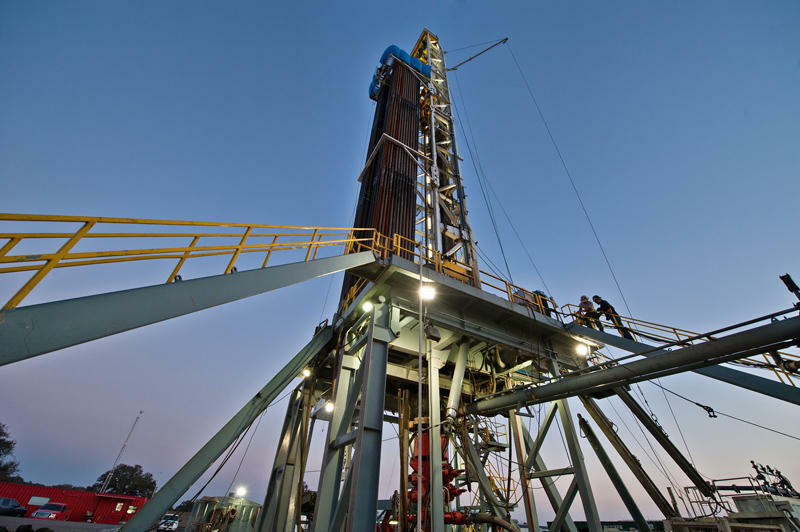 An oil & gas drilling rig is drilling a well for Pioneer Natural Resources in the Eagle Ford Shale formation in DeWitt County. The epicenter of today's earthquake was in Karnes County. During the presidential campaign Donald Trump made a lot of promises about boosting America’s oil, gas and coal industries. Now that he is set to become president, Americans will find those promises easier to make than to keep. The details were always vague, but like many candidates before him, the plan went something like this. The new administration comes in, rolls back environmental rules, industry flourishes and the economy catches fire. How realistic is that? Let’s take it step by step. “If you want to put it down to a sentence: It ain’t the stroke of a pen,” said Tracy Hester, who teaches environmental law at the University of Houston. Hester says, sure, some executive orders can be easily undone. “But, if we’re talking about rules and regulations, the wheels have to turn and the courts have to speak, and it’s not going to be an easy or quick process," Hester added. The process of removing an EPA rule can take as long as it took to establish the rule in the first place. People who follow these things know that can take a long time. In fact, it can take longer than the span of a four-year presidential term. Rules that haven’t been finalized, or are still being litigated, are easier to erase. But, even when they are removed, there’s no guarantee industry will respond with growth, which brings us to the next step. “I think it’s a truism for energy commodities markets in general that policy can pave the way for certain types of choices to be made, but at the end of the day, the market will determine what happens,” said Kenneth Medlock, senior director of Rice University’s Center for Energy Studies. To prove that point, he says, look no further than coal. 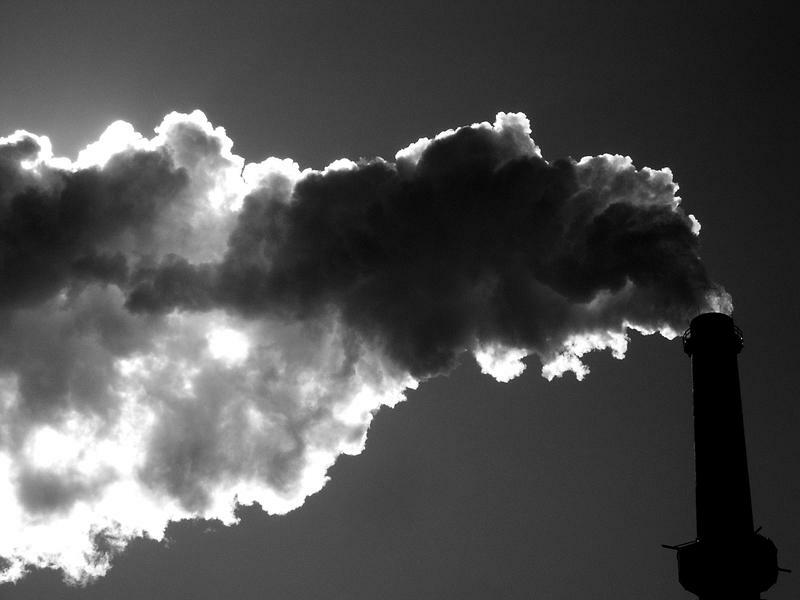 Donald Trump could throw out the Clean Power Plan, the Obama Administration’s effort to fight climate change. But, even if he does, people aren’t likely to start building coal power plants again. That's because they’re already building natural gas power plants. “So, as we go forward there’s really not a significant capacity for demand in this country from coal, unless the price of natural gas jumps up over $5 for a sustained period of time, but most people don’t anticipate that to happen any time soon,” Medlock said. Trump also has plans to encourage more oil drilling. But, if that's successful, it could also depress coal prices, as natural gas is often a byproduct of oil production. But Medlock is also skeptical about how much U.S. policy can encourage more oil production, as well. The U.S. is currently producing a lot of oil, but experts say it would take shifts the global economy outside the control even of the U.S. president for the country to return to the boom times of a couple years ago. Bringing us to the final step. One thing that could spur a big boom in some of these industries is a major rebound in the global economy. That would increase demand, driving commodity prices up. That in turn would spur more investment in fossil fuel exploration and, possibly, lead to more hiring. But, Severin Borenstein a professor at UC Berkeley’s Haas School of Business, says experts aren’t betting on that to happen soon either. “Certainly most economists do not believe that the trade talk that we heard out of the Trump campaign would boost the world economy,” Borenstein said. Hundreds of demonstrators marched through downtown yesterday afternoon during rush hour to protest the construction of the Dakota Access oil pipeline in North Dakota. 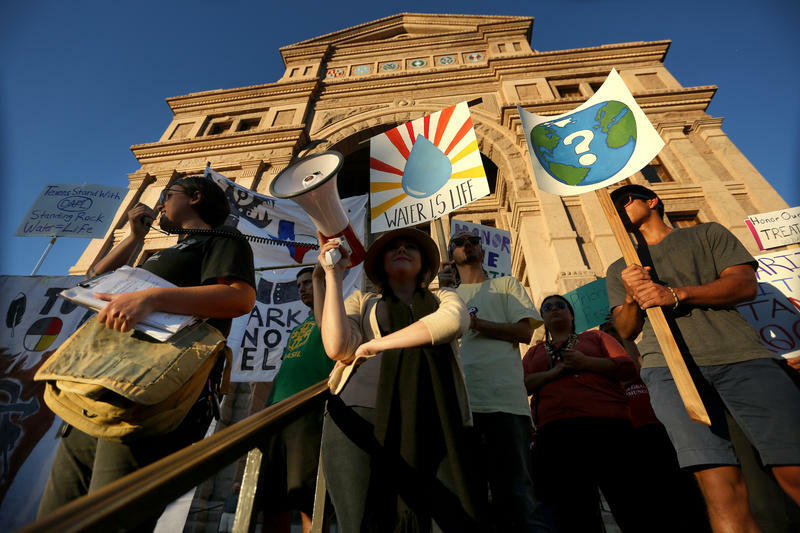 Protesters gathered support for the Standing Rock Sioux Tribe, which has fought construction of the pipeline because of its proximity to both its tribal lands and its water supply. What's Next for the Keystone Pipeline Under Trump? After last week’s presidential election, the company that owns the Keystone XL pipeline said it was interested in finishing out the project. 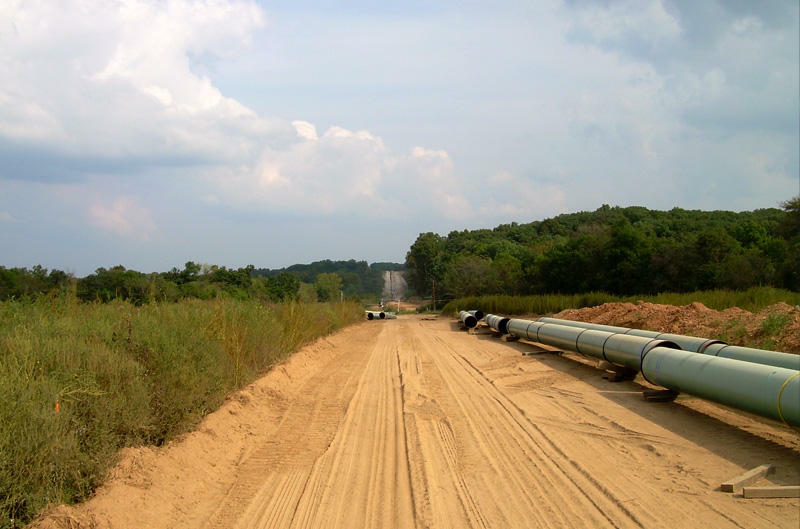 The pipeline was originally planned to carry oil from the tar sands of Canada to the Texas Gulf Coast, but the part linking up the pipe on the U.S. border with Canada was stopped by President Obama.